DPL Homes has launched its first commercial project in Dharuhera with High Street Market and Serviced Suites on the most prime location in Dharuhera. It offers commercial shop, food court and service suits at affordable prices. 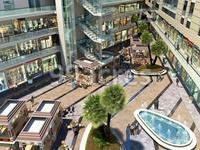 The project is well equipped with all the amenities to facilitate all business needs. 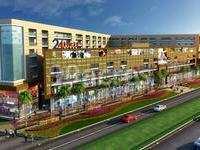 Spread across 2 acres, having frontage of over more than 500 Ft. and strategically located on 75 mtr wide Dharuhera-Bhiwadi Expressway in Sector- 24, Dharuhera. Where is DPL 24 High Street located? 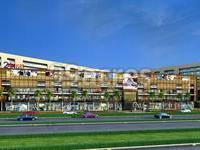 The project is located in Sector-24, Dharuhera. What is the total area of DPL 24 High Street?The project spans across 2.0 Acres. When is the possession of DPL 24 High Street expected?The project is slated for delivery in Dec 2021. Is DPL 24 High Street RERA approved? Yes the project is approved by RERA. Dwarkadhis boasts a young and dynamic team whose extensive experience in property development, professionalism, knowledge, dedication, enthusiasm and entrepreneurial spirit contribute to the company?s success. The team is one of the company?s most valuable assets. Our vision relies in tradition, style and quality that have been hallmarks of the new homes, apartments, shopping malls developed and constructed. At Dwarkadhis homes have long demonstrated high quality and value across all segments of the market. Our commitment to excellence is reflected in the careful site planning, home design and craftsmanship that go into each dwelling. Our Mission is to become the most preferred and trusted real estate company.